Hanad Abdullahi Mohallim was an American foreign fighter for ISIS who is believed to have died fighting for the terror group in late 2014.Andrea Huncar, “3 ISIS recruits from Edmonton believed killed,” CBC News, January 14, 2015, http://www.cbc.ca/news/canada/edmonton/3-isis-recruits-from-edmonton-believed-killed-1.2901146; Laura Yuen, Mukhtar Ibrahim, and Sasha Aslanian, “Called to fight: Minnesota's ISIS recruits,” MPR News, March 25, 2015, http://www.mprnews.org/story/2015/03/25/minnesota-isis#hmohallim. In March 2014, then-18-year-old Mohallim flew from Minessota to Turkey, making his way into Syria later that month. In late March, Mohallim confirmed to his family that he was a “border guard” in Syria. He told his family he believed he would be jailed if he returned to the United States.Laura Yuen, Mukhtar Ibrahim, and Sasha Aslanian, “From MN suburbs, they set out to join ISIS,” MPR News, March 25, 2015, http://www.mprnews.org/story/2015/03/25/minnesota-teens-isis. A San Diego, California native, Mohallim lived in St. Louis, Minnesota before traveling to Syria. 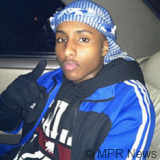 He attended numerous high schools, but never graduated.Laura Yuen, Mukhtar Ibrahim, and Sasha Aslanian, “From MN suburbs, they set out to join ISIS,” MPR News, March 25, 2015, http://www.mprnews.org/story/2015/03/25/minnesota-teens-isis. He reportedly attended Burnsville High School with Hamza Naj Ahmed, a fellow Minnesotan who attempted to fly to Syria in November 2014 but was apprehended by law enforcement. Ahmed was indicted in February 2015 for conspiring to materially support a foreign terrorist organization.“Hamza Naj Ahmed Indicted for Conspiring to Provide Material Support to the Islamic State of Iraq and the Levant,” FBI, February 19, 2015, https://www.fbi.gov/minneapolis/press-releases/2015/hamza-naj-ahmed-indicted-for-conspiring-to-provide-material-support-to-the-islamic-state-of-iraq-and-the-levant. Mohallim grew increasingly radical on Twitter in the months leading up to his departure. His Twitter photo at one point depicted a young man sporting an Islamic-style headscarf and holding up his pointer finger, a gesture associated with ISIS.Laura Yuen, Mukhtar Ibrahim, and Sasha Aslanian, “Called to fight: Minnesota's ISIS recruits,” MPR News, March 25, 2015, http://www.mprnews.org/story/2015/03/25/minnesota-isis#hmohallim. @HanadM_Laura Yuen, Mukhtar Ibrahim, Sasha Aslanian, “Called to fight: Minnesota's ISIS recruits,” MPR News, March 25, 2015, http://www.mprnews.org/story/2015/03/25/minnesota-isis.